I was born during the video game crash of 1983. 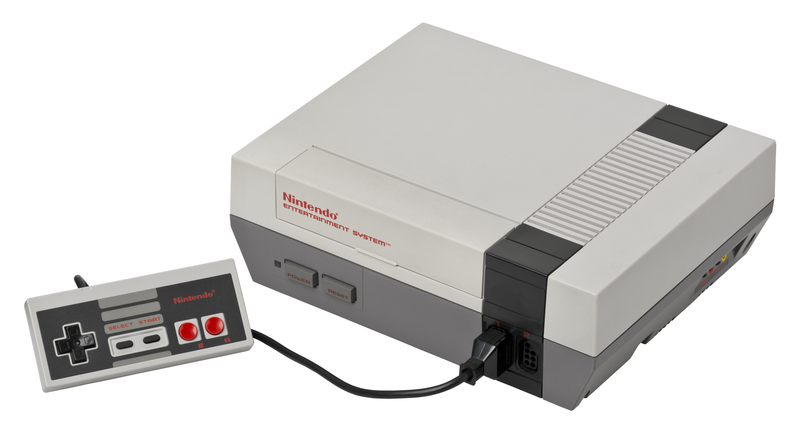 The video game industry wouldn't recover until 1987, with the rising popularity of the Nintendo Entertainment System (NES). 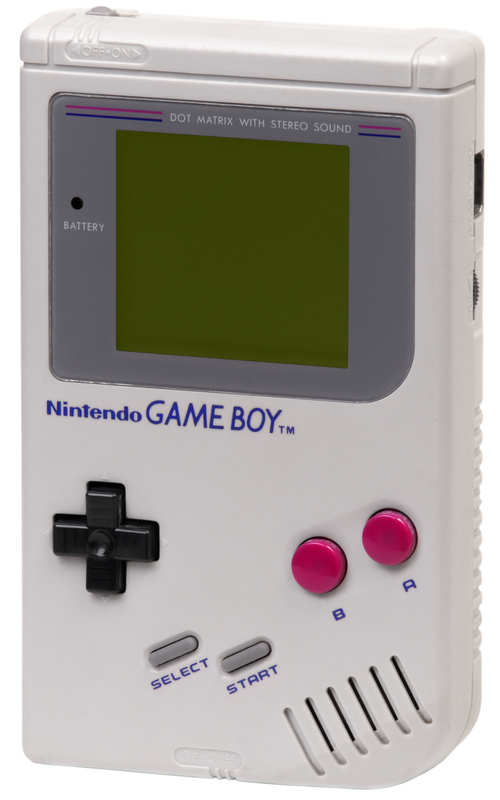 The next decade would see the most famous video game consoles released. ... and many of the most famous video game franchises would get their starts. But if you're in the mood to play some of these games, you may be hard-pressed to find them. While I may still have a few working consoles and some working games, I suspect not everyone is so lucky. 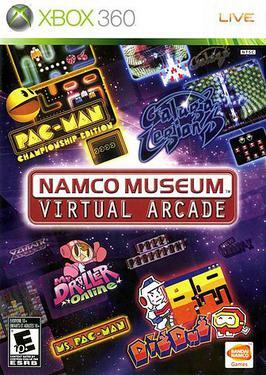 Some companies have started to capitalize on nostalgia through ports of old games for new consoles, like the Namco Museum series. The NES classic comes with 30 games preloaded, some real gems, but might not have that one obscure game you fell in love with. Maintaining the hardware to keep your nostalgia demons at bay can get expensive, but there's another way that people have been keeping this old hardware alive. Software simulation is using software to simulate hardware. 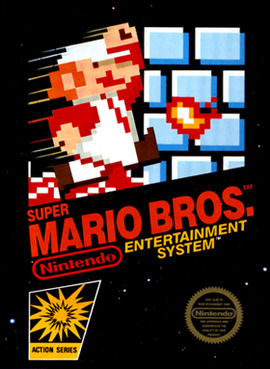 Software designed to fully simulate an entire hardware system is generally called an "emulator". 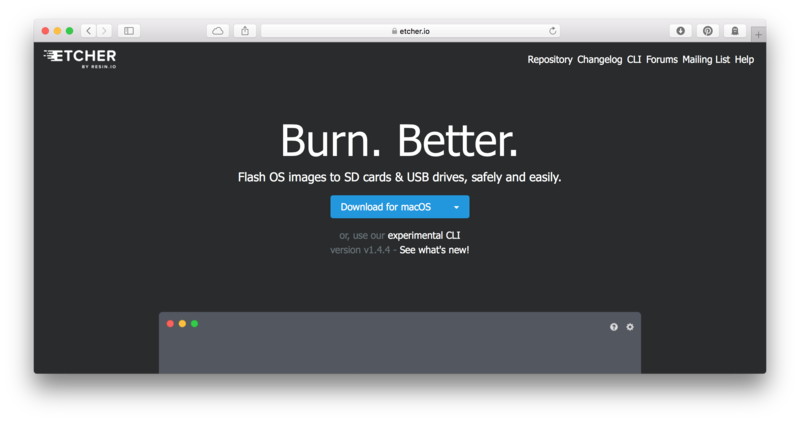 Anyone who has used a "terminal" application on a modern OS has used a "terminal emulator": The software emulates some kind of terminal hardware. Emulators for old video game systems have been available since the first NES emulator was released in 1992 running on a modest Intel 486/DX2. 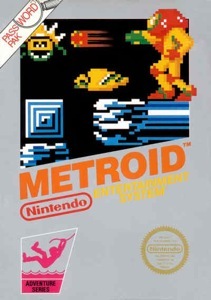 The Nintendo Virtual Console, available since the Nintendo Wii, uses emulation to play NES, Super NES, Game Boy and other Nintendo games you can buy for a few dollars. The XBox 360 used emulation to get some limited support for the original XBox games. Even the PlayStation Store sells emulated games. I've been using console emulators on my computers since the late 1990's (playing ROMs on school computers), and they've grown by leaps and bounds since then. 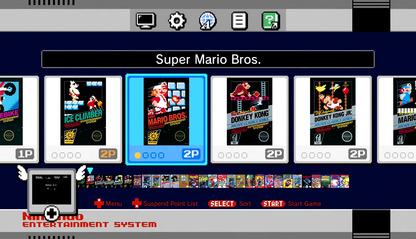 More recently, projects have started to bundle up a bunch of emulators into a single front-end program: You run one application which lists all the consoles and games you have, making it a lot easier to get playing. There are some annoyances with using a general-purpose computer as a video game console emulator. A lot of them are around controllers: Plugging/unplugging USB controllers, connecting/disconnecting Bluetooth controllers (Bluetooth remains the worst thing ever). Using a keyboard is often difficult for games that weren't designed for keyboards: Controllers have buttons wrapping around for different fingers to press. A keyboard is a different control scheme for different game experiences. So, to me, emulation on my computer was mostly a personal thing. I can deal with the problems as they come up: It's less work than maintaining a Linux desktop. But that keeps this kind of nostalgia away from casual computer users. I know lots of people who would love to play the games from their childhood and would have no clue how to debug the problems of emulation on a desktop. I also know so many people who were kept out of video games as children, unable to play some of the games that sparked my interest in technology, and even literally shaped my personality growing up. 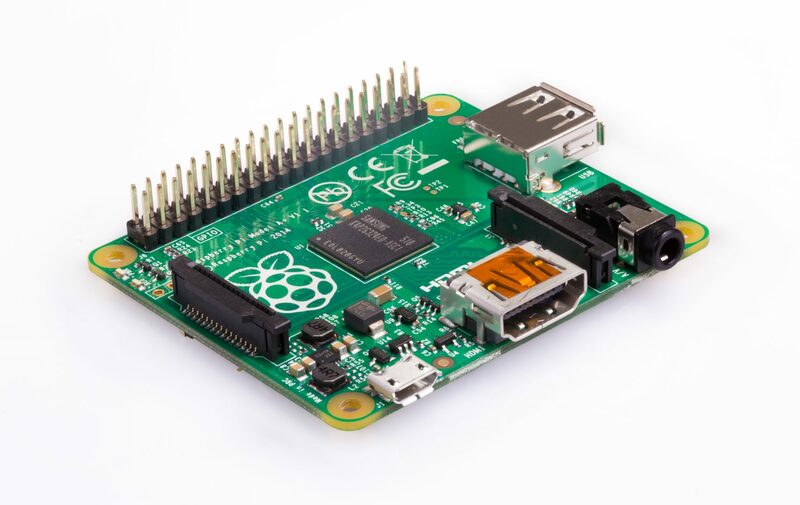 So when I started hearing about the Raspberry Pi, I wondered if some of these problems could be fixed. A small, cheap computer system purpose-built for playing video games would solve the issues of managing controllers, and the system could allow navigating lists of games via the same controllers. So I started this project to give my girlfriend the Super NES from her childhood. But as I've been working on it for the last few months, I found it could do a lot more. I thought this would only be good for emulating a Super NES (basically a 6502 processor at 3.5 MHz, with an audio co-processor and some other chips), but I've played some N64 and PlayStation 1 games on this thing with only a few issues. Before we start talking about how to build this system, we should talk about copyright law. I am not trained or licensed to give legal advice. According to current legal precedent, emulator software is legal to develop and possess. 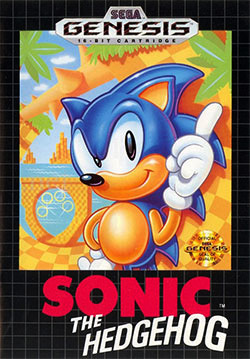 Sega v. Accolade established that reverse engineering the Sega Genesis software is protected under the fair use doctrine (and trademark law can't be used to make reverse engineering illegal). Years later, the PlayStation was released, and almost immediately people started trying to emulate it. Connectix let you play PlayStation games on MacOS (the original). Sony sued them because they had to copy the PS1's BIOS firmware to do it. Connectix eventually prevailed. Which led to Bleem!, a PlayStation emulator that allowed playing PlayStation game disks on PCs and Sega Dreamcast. Bleem! ultimately won in court, but court costs forced them out of business. 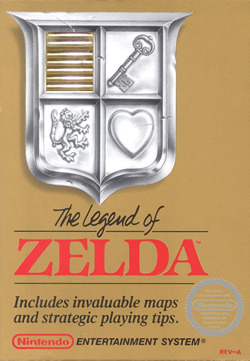 Game cartridges contain software which is protected by copyright law. There is no legal precedent that would presently allow for you to download ROM dumps of games, even ones you physically own. 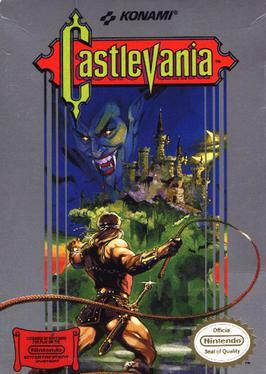 There is legal precedent that fair use allows for backup/archival copies of certain kinds of media, but there has been no specific case about ROMs inside video game cartridges. The hardware to do this is highly specialized, and from what I've read, difficult to use at best. Everyone clear about the legality of this? 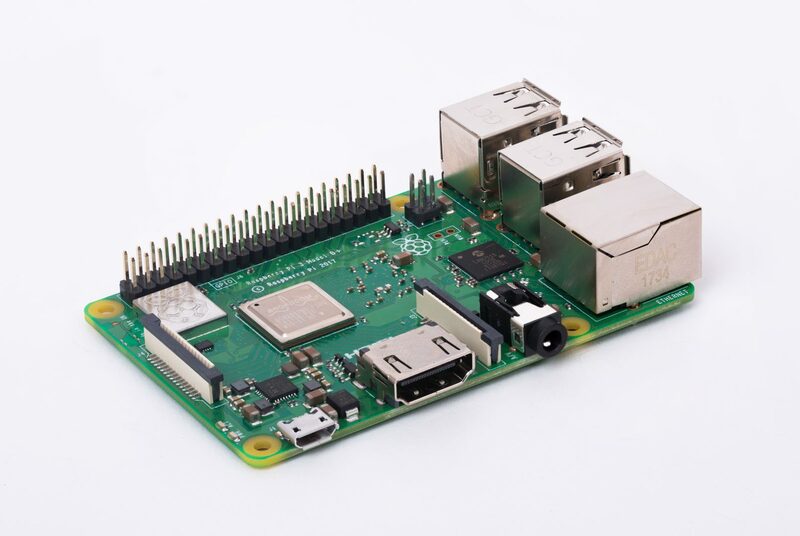 A Raspberry Pi is an inexpensive, single-board ARM computer developed to help teach basic computer science in schools and developing countries. Like other projects of this nature, it also became popular outside its target market. Here's one of the first models. All Pis rely on Broadcom System-on-a-Chip (SoC) processors, and as many peripheral ports as they can pack on to the form factor. 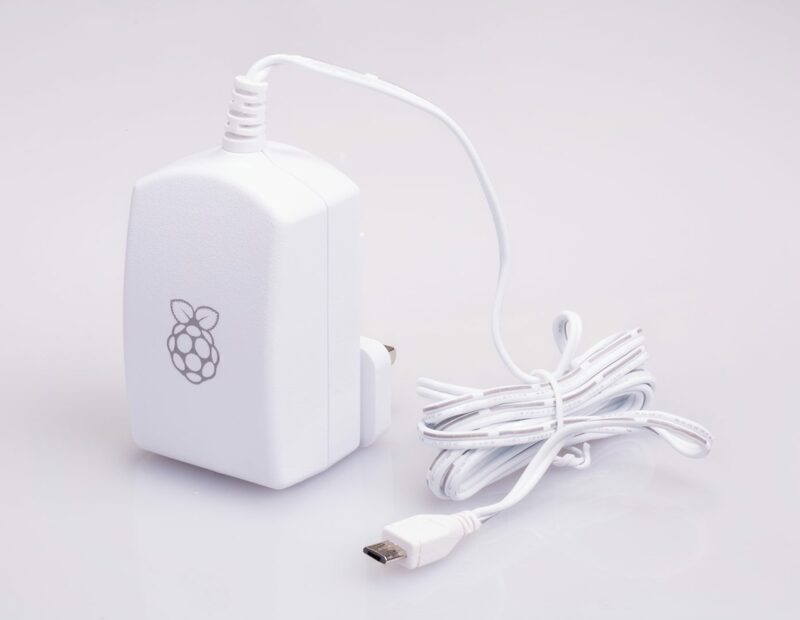 All RaspberryPis have MicroUSB for power, HDMI for video/audio output, 3.5mm audio output, a MicroSD card for internal storage, USB-A ports for keyboard/mouse/etc..., and general-purpose I/O pins of varying number and usage. 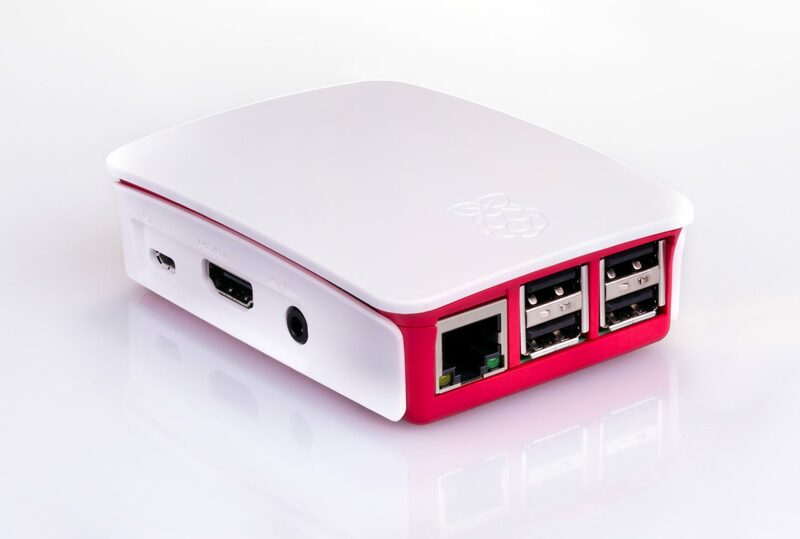 The most powerful Raspberry Pi model, and the one I picked for this project, comes with a 4-core 1.4 GHz ARM Cortex-A53 processor with 1GB SDRAM, Bluetooth, 802.11ac dual-band wireless, and Gigabit Ethernet. 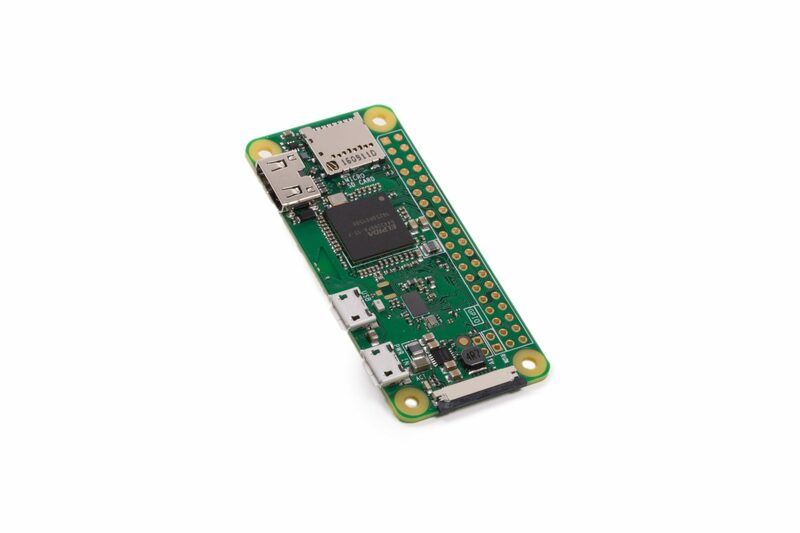 There's even a Raspberry Pi Zero with only a mini-HDMI port and a micro-USB port that costs $5 (or $10 for the version with wireless networking). 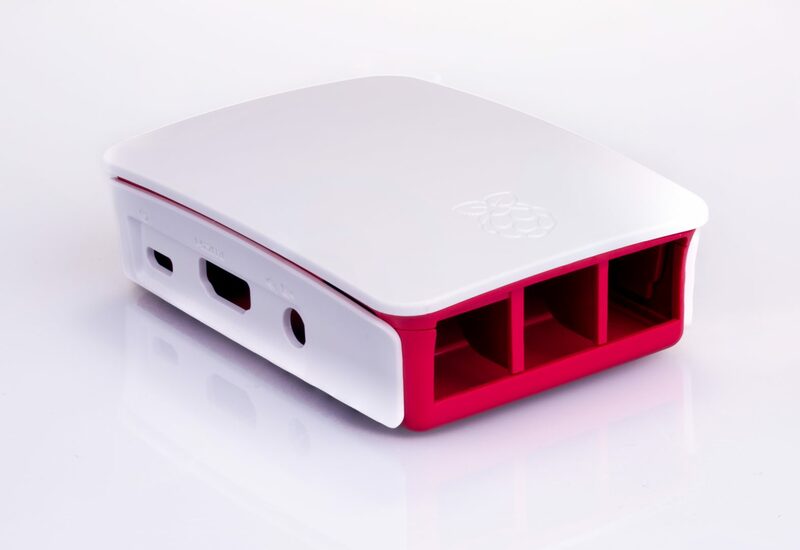 The Raspberry Pi Model 3B+. Available for $35 online or at MicroCenter on Elston. A 5.1-volt, 3-amp power adapter with a MicroUSB connector. Microcenter had one for $11. 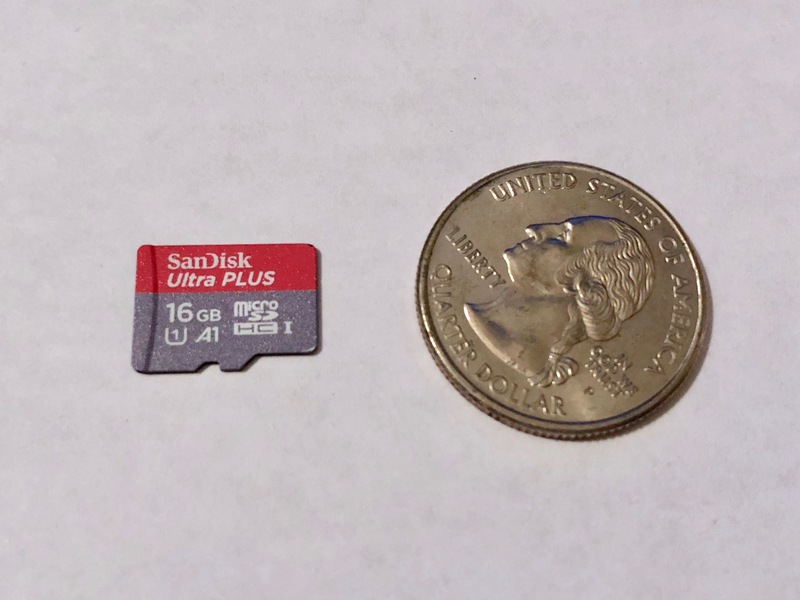 A MicroSD card. These are so inexpensive now I splurged and spent a whole $20 on a 64-GB one. I originally bought a 16-GB one for $10. For playing older games, 16-GB is well more than enough: The OS takes 3-4GB, leaving 12 for games. 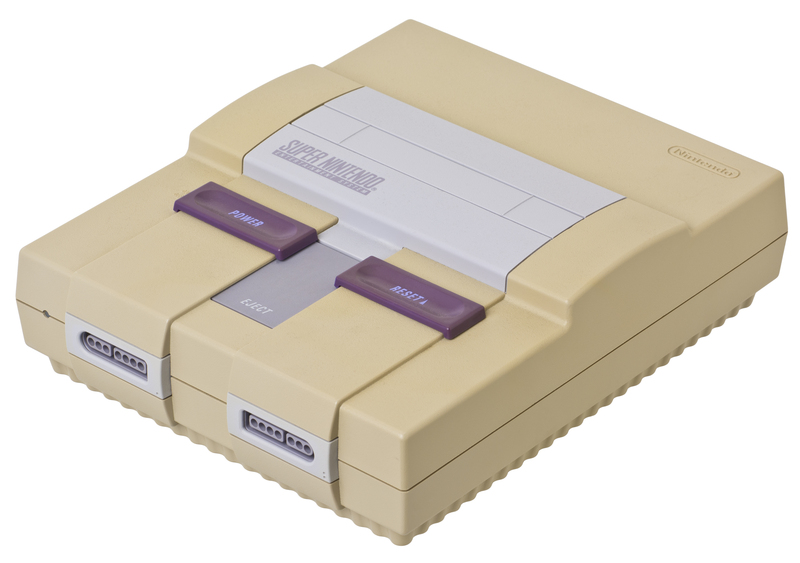 The largest SNES games are 48 megabit (6 megabytes uncompressed, 3.5 compressed). I filled this thing with every NES, SNES, Genesis, Game Boy, Game Boy Color, Game Boy Advance game that has ever held my attention for 5 minutes and still have 11 GB left. However, if you're going to emulate the N64, the cartridges are much larger, up to 70MB. And the PS1 used CD-ROMs which could store up to 660MB. These will require more storage, so buy the card you'll need. To connect to the display, you'll need an HDMI cable. Microcenter had a 6-ft one for $15. And you'll need a case. The official case is good for getting started and is only $9. Later, I'll talk about custom cases with extra features (that cost more). I did not buy a new TV for this, any TV will do. 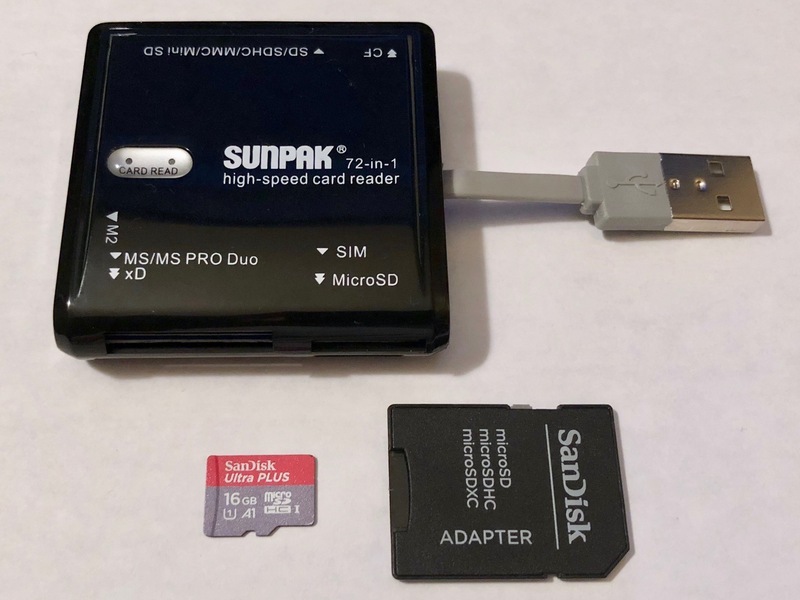 To create the bootable MicroSD card, I needed a card reader which can be used for any SD card reading needs. Parts of the initial setup require a USB keyboard, but I had a few laying around. You can buy one if you need for less than $10. Since this is a video game console, I also bought some controllers. My goal was mainly to emulate 3rd- and 4th-gen consoles, so Super NES controllers are perfect. 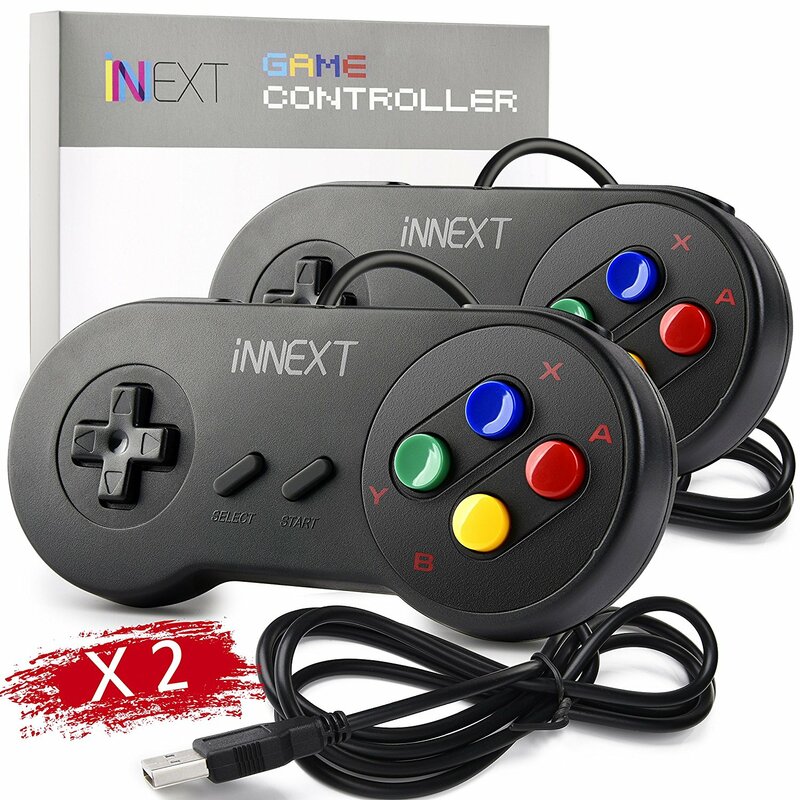 Lots of companies produce retro controllers with USB connectors, and I found these for $13 for the pair on Amazon. They said they came with 6ft cords, but one was a foot short. For $6.50 each, I'm not complaining. Besides, my living room is larger than 6ft either way, so I bought some 10ft USB-2 extension cords for $10 each. If you want to play PS1 games or N64 games, you're going to need a more expensive controller. 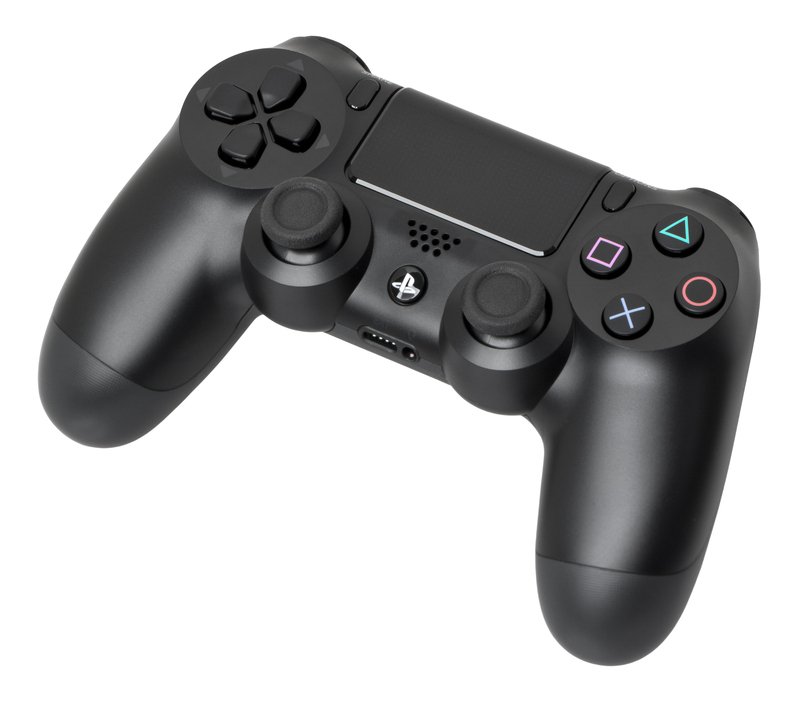 I've found the PS4 controller to be the most useful for general gaming: It's laid out like a Super NES controller, works perfect for PS1 games, and can be made to work for N64 games (with the wierd pitchfork design), though the C-buttons on the N64 are emulated using the right analog stick. This controller is, however, $50, which inflates the prices of this system dramatically. 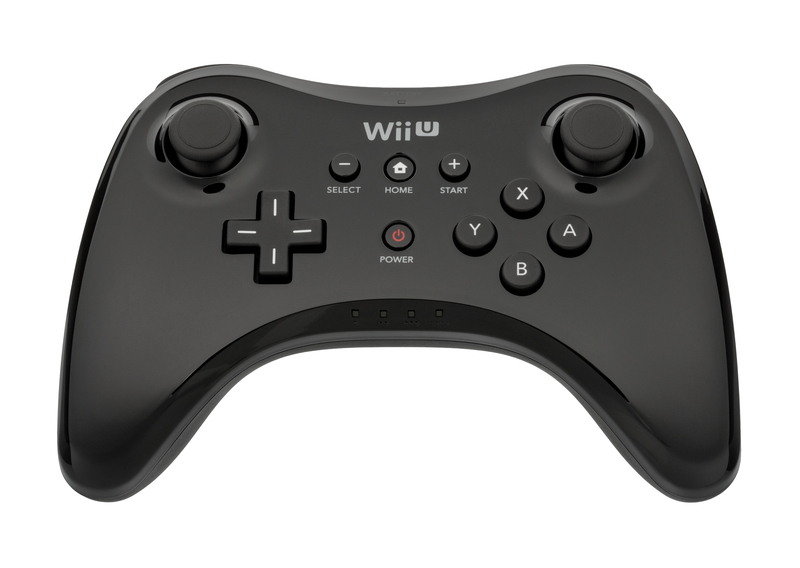 For a similar experience more modestly proced, the Wii-U or Switch Pro Controller is good as well. Then snap closed the top and sides and the Pi is ready. We can get all of these through the RetroPie project. 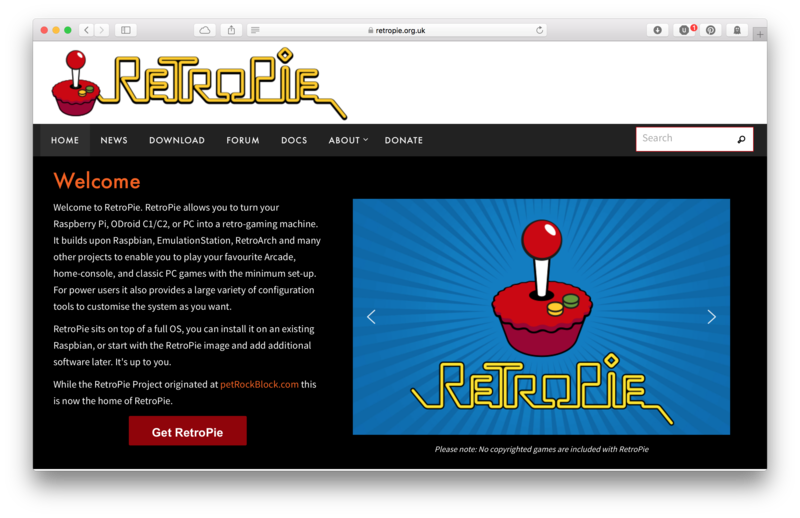 RetroPie is a project for retro gaming on Raspberry Pi. The project releases disk images with all the software you need to set up a retro gaming machine. The image contains a Debian-based OS called Raspbian, a set of emulators using libretro for a unified experience, and an emulator front-end called EmulationStation. Download the Raspberry Pi disk image from RetroPie's website. 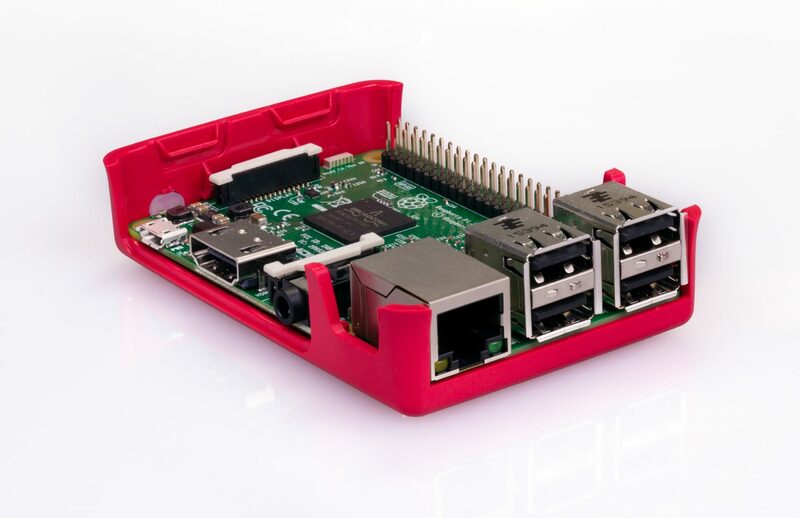 Be sure to download the correct one for your Raspberry Pi model. It should come as a ".img" file. In order to boot our system, we need to write our image to our SD card. There are lots of ways to do this, your OS probably has a disk utility or there's the dd command. 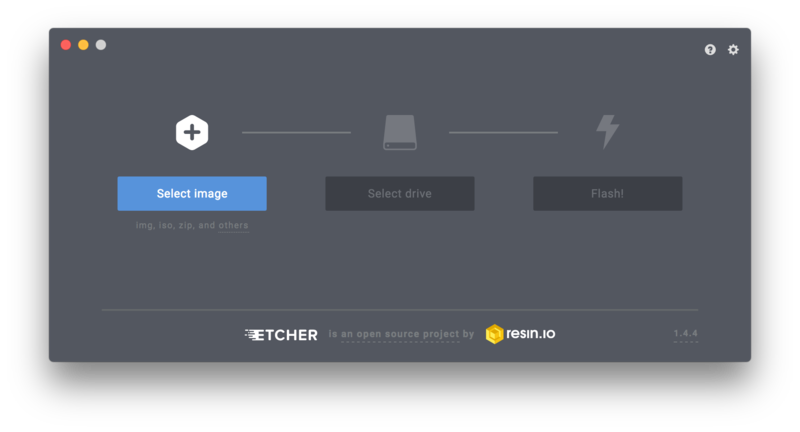 The Raspberry Pi project recommends Etcher, so I'll show that. It's certainly the simplest, friendliest way to do it. 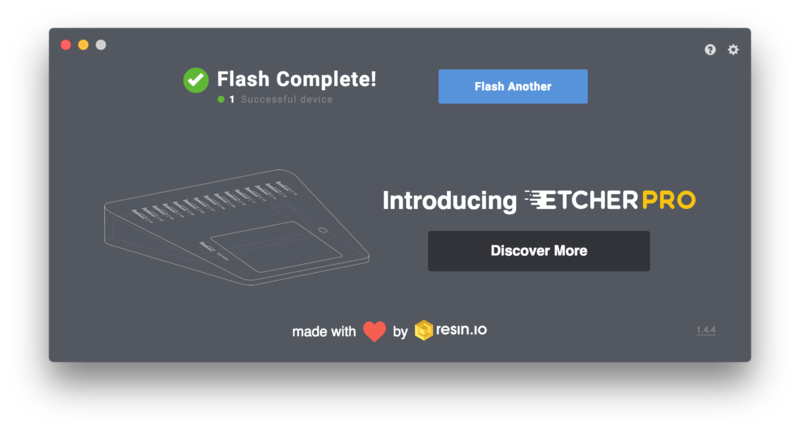 Download and install Etcher from their website. Make sure to plug in your SD card and your SD card reader, then select the disk. Then click the Flash button. 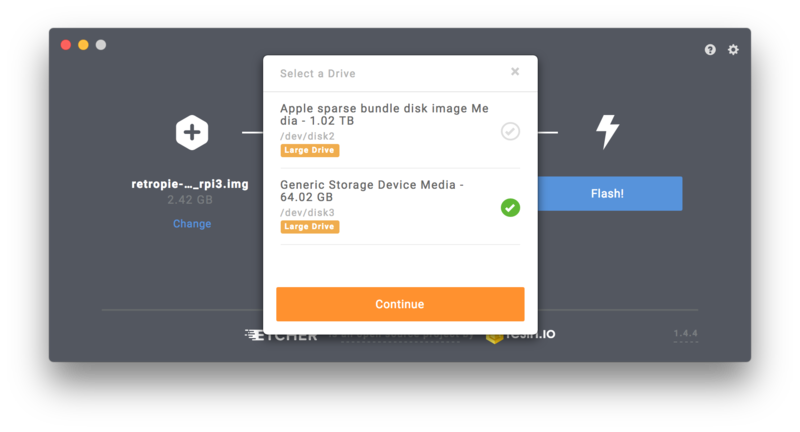 Once it's started, it may ask for administrator permissions to write to the raw disk, obliterating anything on the SD card. Once the image is written, Etcher will verify the data to try to detect any write errors. And then it's done! Your SD card is ready to boot. Plug it in to the bottom of the Raspberry Pi. Plug in the keyboard, wired controllers, HDMI, and power supply. The next thing you'll see on your TV is a small Raspberry Pi logo followed by the noisy Linux boot before it's interrupted by a RetroPie splash screen. 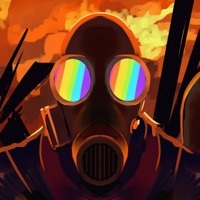 The first boot will take a little longer as it expands the root filesystem, a consequence of using a pre-built filesystem on a disk images instead of building a filesystem on a target disk and copying the OS on to that. It will ask you to configure a controller. 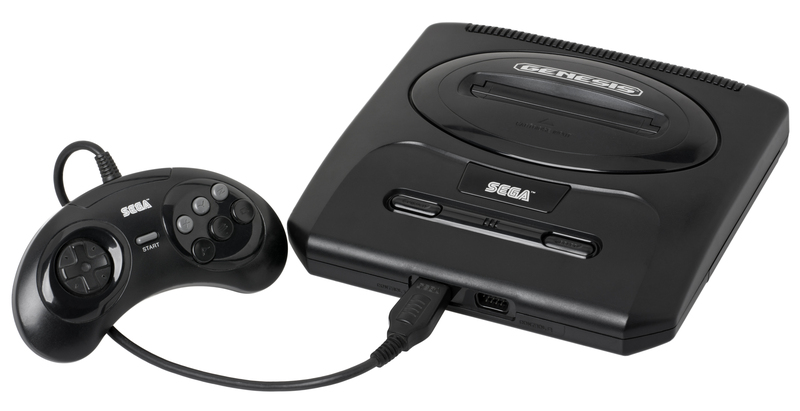 The controller will be used by EmulationStation to move through the menus and launch games. Holding down a button will select a controller, and EmulationStation will ask you to hit certain buttons to map buttons to values. You'll see things like "Button 9" or "Axis 1+" show up. These are the internal IDs of the buttons and analog sticks of the controller. Because I'm using a Super NES controller, some of the buttons EmulationStation asks for I don't have. 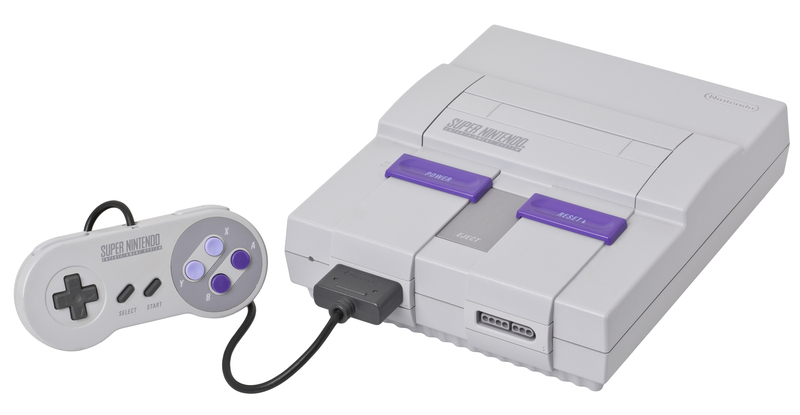 SNES has left/right shoulder buttons, but not left/right trigger buttons or left/right thumb buttons. Holding any button down for a few seconds will skip it. EmulationStation supports all the buttons that have become standard for PS4/XBox/Pro controllers. And one additional button: The hotkey. This key is a modifier key like the Shift/Ctrl/Alt key. Pressing it and another button will control the emulator. More on that later. The hotkey can be the same as another button, so for my Super NES, I use the Select button. For controllers with a "Home" or "System" button, I recommend using that. Now we can see the EmulationStation menu. We only have one option right now: RetroPie. This option contains configuration and settings for our machine. Later, after we've added some games, additional options will show up. There are two ways to add games. The easiest way is to use the Samba network file share to copy games over the network. To do that, we either have to plug in an Ethernet cable, or configure the wireless. Wireless is more portable, so let's walk through setting that up. First thing we need to do is configure which country we're in. Different countries use different radio frequencies for Wifi, and we definitely do not want to break FCC regulation and run some kind of pirate wifi radio station (or be unable to find our networks, whichever). 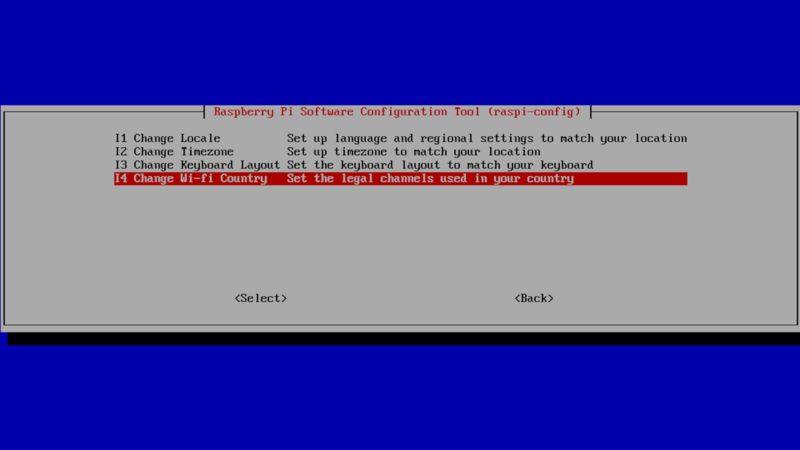 To configure our country, we go into the RetroPie menu, and choose the raspi-config option. Oh. This looks different. Anyone who's worked with Debian a lot might recognize this as very similar to debconf, which it is. With the keyboard I can move down to Localization Settings and hit Enter. I can do it with the controller too, but keyboard is a lot easier. From this menu, we select Change Wi-Fi Country. Using a keyboard helps on this menu, because a keyboard has a page-down key and there are a lot of countries. Once we found ours, we can hit Enter to select it. With our country configured, we can set up our Wifi networking. Go down to Wifi in the RetroPie menu. On this menu we choose "Connect to a Wifi network" to select from a list of networks. We find the network we want. And we're done. Hit the right-arrow to select "Exit" and hit Enter to leave. With our network configured, we can now copy some games with Samba. Samba is a Windows file-sharing protocol that's been adapted to other OSes and is now widely available. 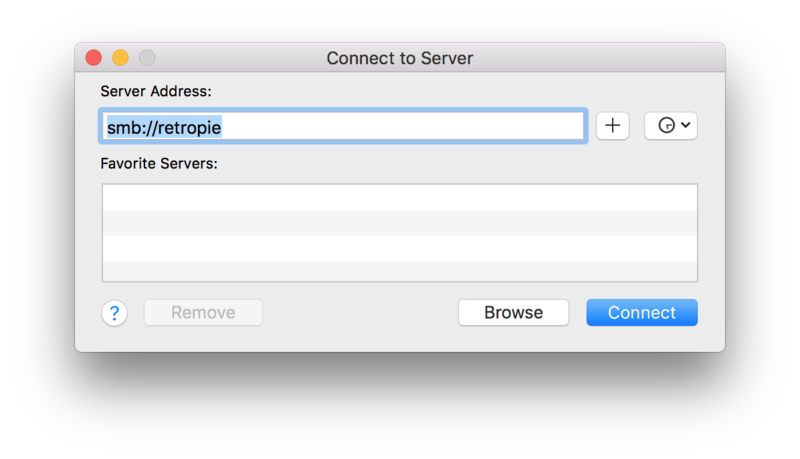 How to connect to a Samba share depends on your OS, but for OS X, use the Finder, click "Go > Connect to Server" and type in smb://retropie. 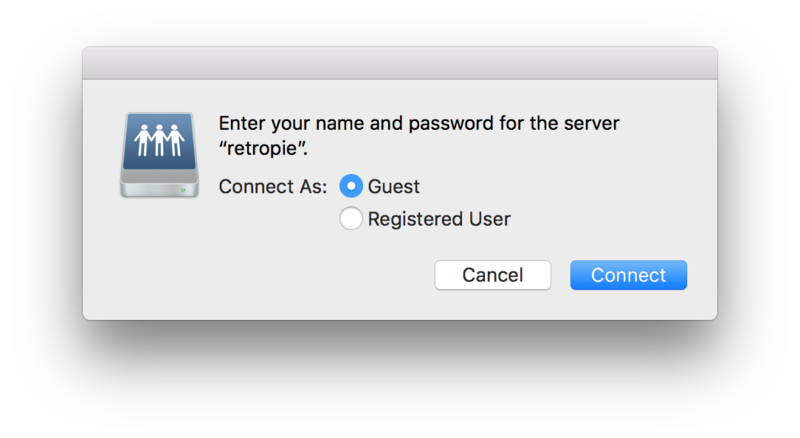 The RetroPie uses mDNS (Bonjour) for internal DNSing (fully-qualified it would be "retropie.local"). You'll be prompted for credentials, and you can just log on as "Guest". There are multiple shares here: BIOS is for emulators that require BIOS images, like the PlayStation. Configs is all the configuration files if we want to edit them. 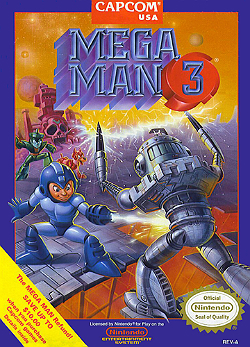 ROMs is where we'll copy our games. Splashscreens are images to use when booting the RetroPie. Since I have an SNES game, I put it in the SNES folder. A lot of emulators support zipped ROMs to save space. If you're having trouble with Samba, or don't want to configure networking, you can transfer files using a USB stick. Make sure it's formatted FAT32 (for Windows). 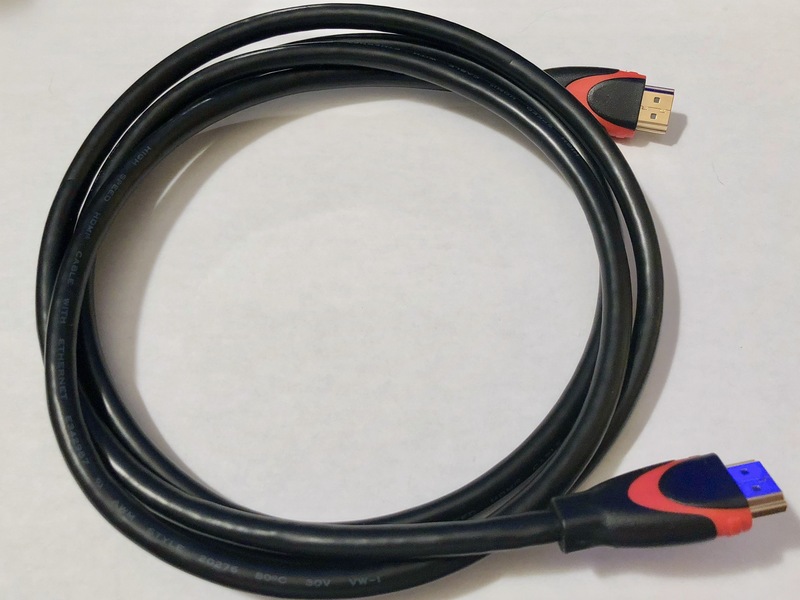 Create a "retropie" directory on the USB stick and then plug it in to the RaspberryPi and wait a few minutes. 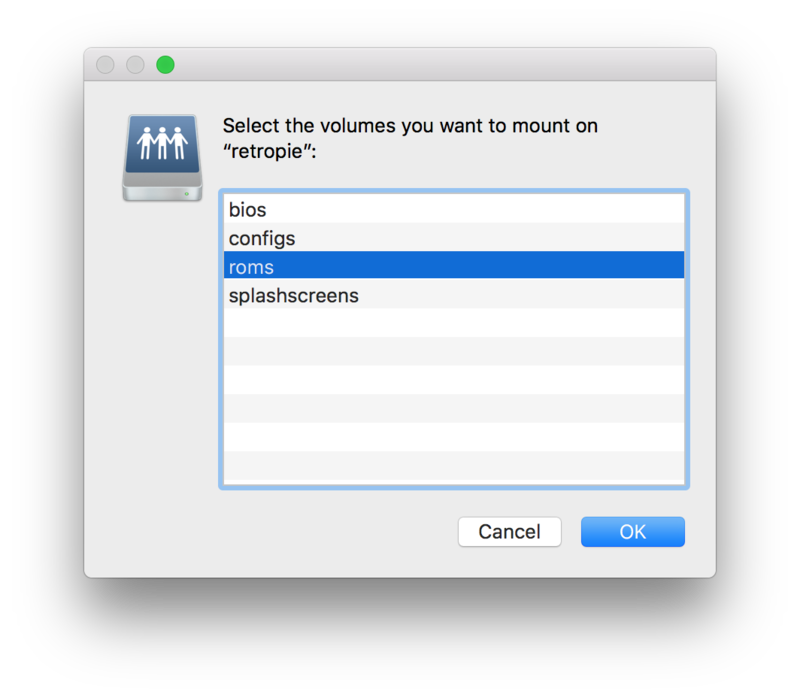 RetroPie will create a directory structure in that "retropie" folder. And then plug the USB stick into the Pi. RetroPie will copy the game onto our SD card (it does not play the game off the stick). These lists look plain, though. 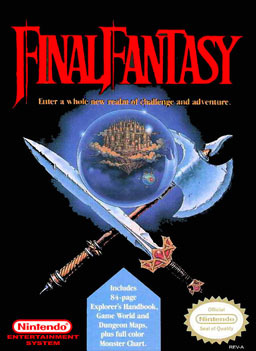 If I hadn't played these games enough to remember everything about them, I wouldn't know what game I was looking for. 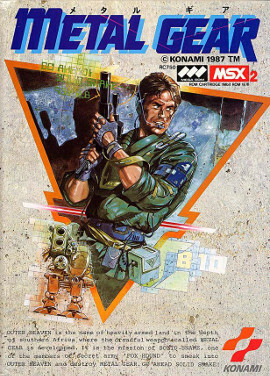 It'd be nice to see a cover image and a description of the game. 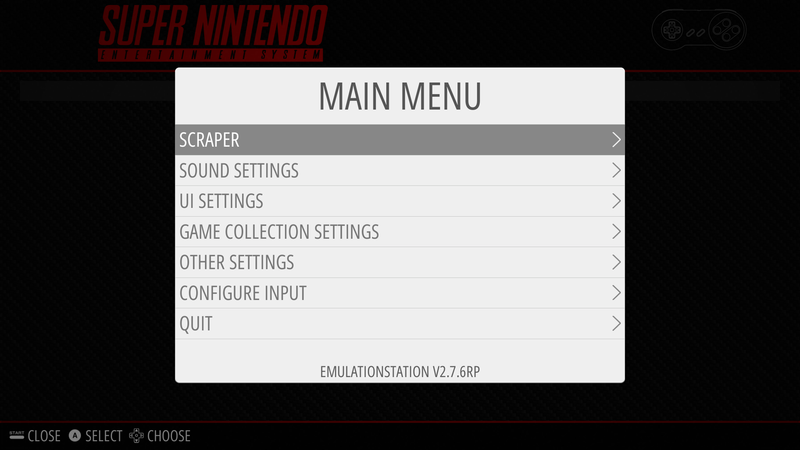 Fortunately, EmulationStation comes with a way to download metadata for games called "Scraper" in the main menu. From the scraper menu, we can set up the source of The Games DB and go down to Scrape Now. Then we set up what we want to scrape. Usually these defaults are good enough: If we just added a game, it will be missing an image. The next screen that appears will have the name of the our file and a list of search results from The Games DB. We have to pick which result is correct for our file. This will take a few minutes, especially if you have a lot of games. But when you're done you'll have a much nicer view of your games with box art and publisher and other useful details! Now we can play a game! Hotkey + Start will quit the emulator. Super important for those of us who still need to sleep. Hotkey + L will load it. Emulators are great in that you can save/load your game at any time, even games that don't have a built-in save function! And Hotkey + X will show the emulator menu. There's a lot of stuff in here, including the hotkeys I already mentioned, and configuration per-system and per-game. That's all there is to getting started, but there's a lot more that this little machine can do. The default RetroPie EmulationStation theme is kind of boring to me, so I tried a few out. 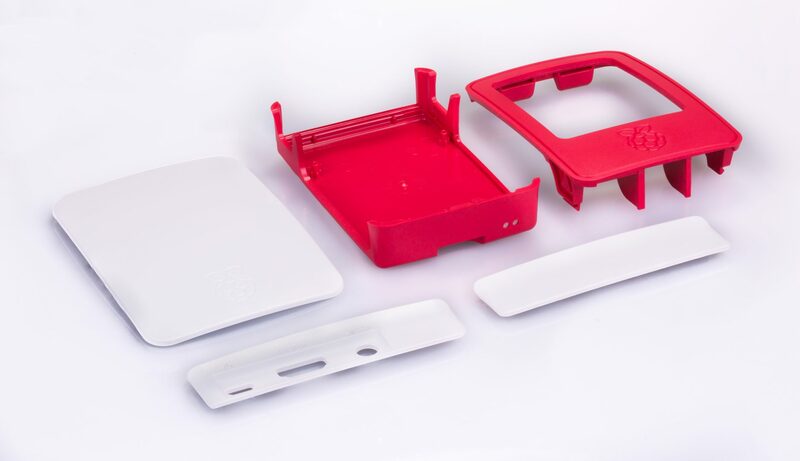 You can customize the case for your machine. The default case is okay, but one thing it lacks is a power switch. Here's the Super-NES-alike case I bought for $35. It includes a soft power switch that sends the right signal to the OS to shutdown gracefully instead of just cutting the power (no IPMI here, so it uses the GPIO pins). If your TV has these black bars all around the edge, you can fix it by disabling overscan. Go into the Advanced Settings menu and there's an "Overscan" item.